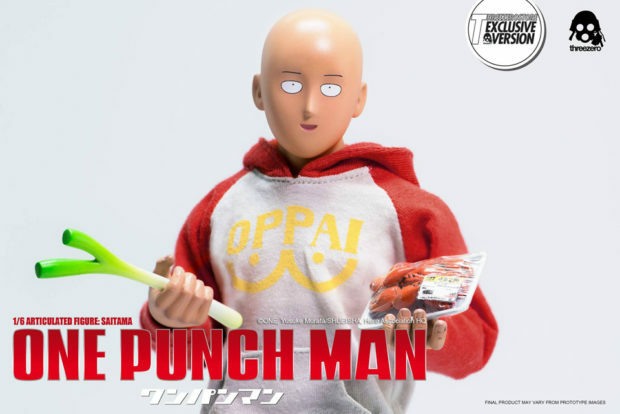 If you haven’t checked out One Punch Man, I strongly suggest it. As someone who doesn’t like most popular anime, I can tell you that it’s actually a really good show. It’s good enough that I’m considering checking out the manga… and I am not a fan of most manga. Also, if you haven’t had a chance to check out Threezero, you are missing out on some of the finest action figures in the world. 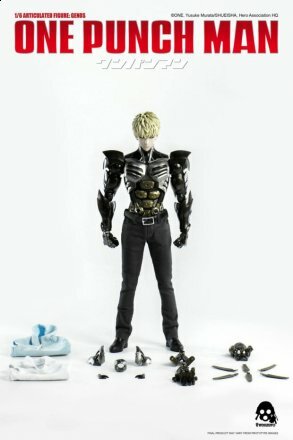 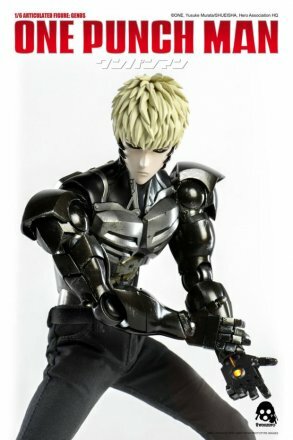 So, given that those two worlds are colliding with the Threezero One Punch Man Genos 1/6 Scale Action Figure, it seemed like a good time to show them off to you. 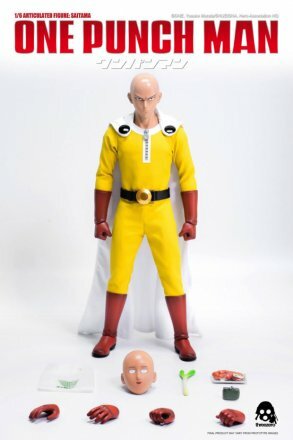 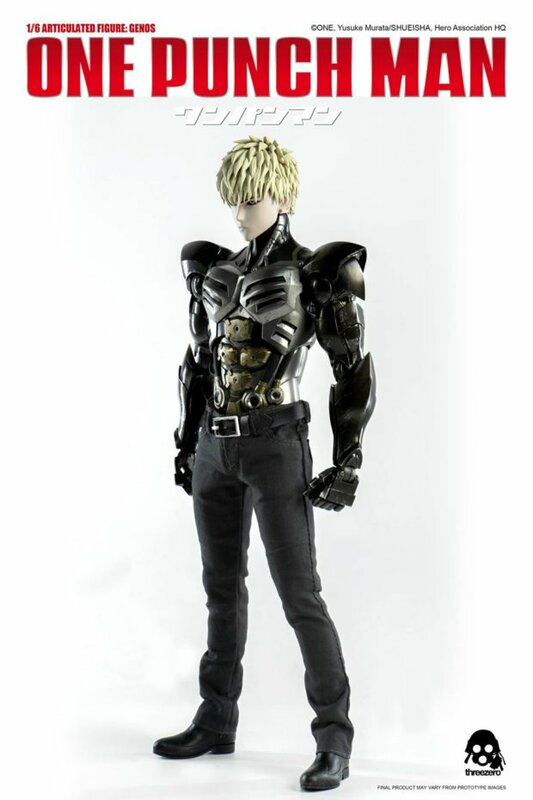 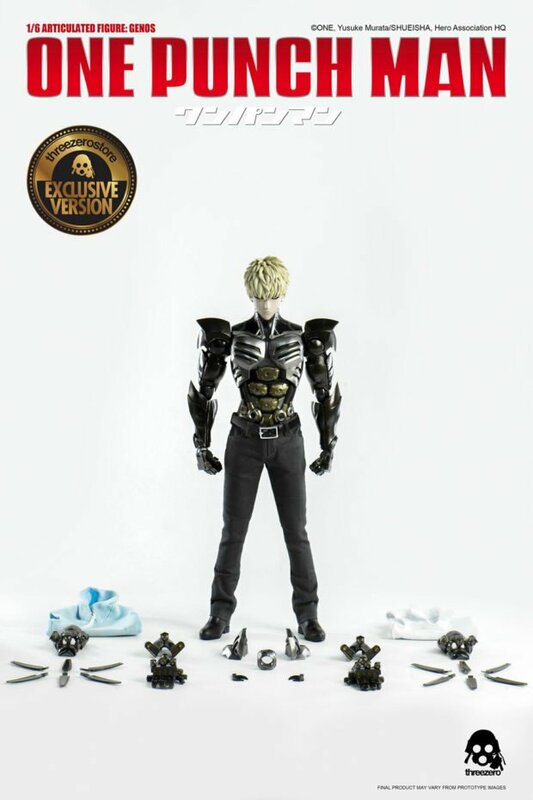 the Genos figure is a follow to the One Punch Man/ Saitama figure that they first unveiled last year. 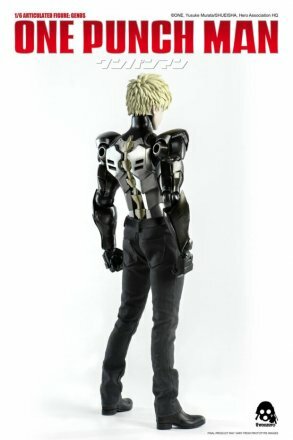 I’ve included a couple pics of that one for you as well, but the sculpt on Genos’ robot body is much more interesting by design. 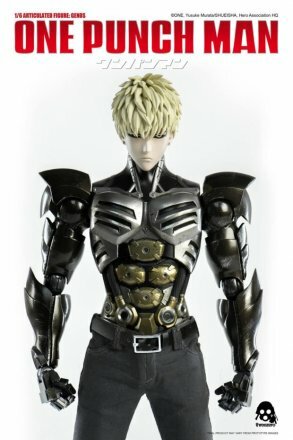 the figure is set to come out in two versions, a standard, $190 version that comes with a sleeveless shirt, a sleeveless hoodie, removable face accents, a detachable magnetic chest piece that has a removable light-up core, and an extra left arm in incineration cannon mode and an exclusive, $210 version that has more light up options on the hands.